Come along and prepare yourself for a unique experience; the island offers everything you could ask for! At VIVA Hotels, we work to make sure your holidays are unforgettable. At Hotels VIVA, everything is thought out so that both adults and children can enjoy their stays to the maximum. We offer loads of entertaining activities so that the kids can have a great time with our pirate mascot BUFO, our Mini Club and Maxi Club, and of course, the pirate ship! The ultimate activity for kids! There’s also a swimming pool with slides and unique facilities to ensure that the kids have a fantastic time while the adults can take some time to relax! At our Balneum Spa & Wellness centres we ensure atmospheres of relaxation and wellbeing. Our professionalism, simplicity and ease demonstrate how we dedicate ourselves to taking great care of you. We know you’re treating yourself to some alone time! If you’re a sports lover, you’ll have a fantastic time on holiday! At Hotels VIVA, we love sports, something we demonstrate through the facilities available at our hotels and our team of professionals dedicated to health and sports. All of this in unbeatable surroundings! Cala Mesquida is one of the most perfect spots for lovers of nature and sports. Puerto de Alcudia has a town that evokes a rustic atmosphere with houses made of sandstone and stone, lining the narrow, cobbled streets and decorated with plants and flowers by the locals. A wander around the town is a must for all visitors to the Northern area. 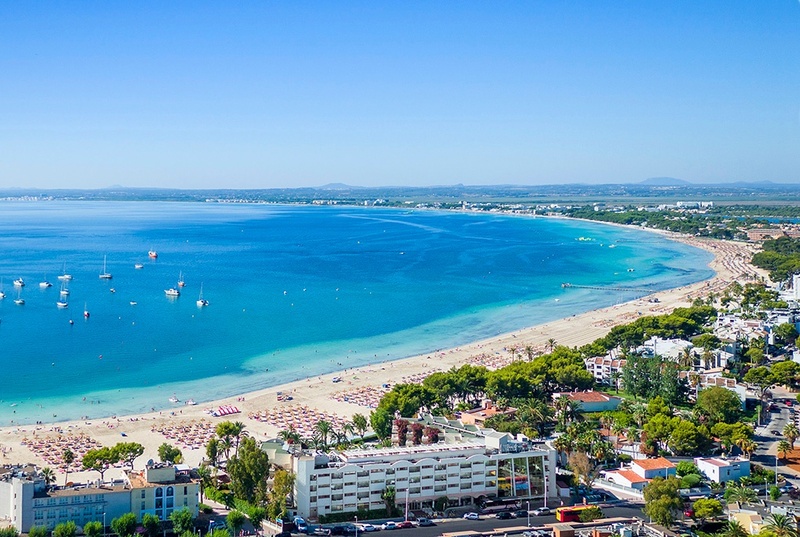 Playa de Muro is where you’ll find one of the island’s most extensive beaches, located next to the S’Albufera Natural Park, which attracts all kinds of birds and wildlife. Perfect for nature lovers. Check availability at our hotels in Mallorca and let yourself be won over by the true Mediterranean charm.